Having a new roof installed is a project that most homeowners will only have to tackle once or possibly twice in a lifetime. Very few of us are experienced in the best ways to go about hiring a trustworthy Austin roofer, but it is important to get it right. The wrong decision may cost you a great deal of time, money, and stress. While any contractor is working for you, you are their employer. Think of finding the best roofing contractor in the same way you would go about hiring an employee for any other position and begin with an interview process. Only after you have had your questions answered to your satisfaction should you consider signing a contract. Are you licensed to work in the State of Texas? – Not only does a yes answer let you know that the company you are considering has met the basic requirements to obtain the license, but it allows you legal recourse if something should go wrong. Are you fully insured? – This includes not only general liability insurance in case damage is done to your home or property, but also workmen’s compensation to protect you from lawsuits if one of their employees is injured while working on your property. Do you have a local address and/or will be there someone able to answer questions and make decisions on site on a daily basis? – Hiring a local company that ensures an open line of communication will make it much easier to get your questions answered and resolve any issues that may come up. How long will my new roof be under warranty and what are the details of this warranty? – You want to be sure that your roof will be covered by a comprehensive warranty for quite some time, 25 years is a standard, and exactly what that warranty covers. Will you remove and dispose of the old roof? -This may seem like a no-brainer, but some less reputable roofing contractors have been known to levy additional charges for these services. To begin your search for a trustworthy Austin roofer, contact us at Quality Roofing, winner of the 2013 Angie’s List Super Service Award. We will be more than happy to answer these and any other questions you may have. 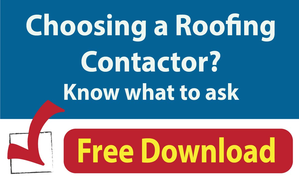 For your benefit, we’ve compiled a free eBook, What to Look for When Choosing A Roofing Contractor. In it, you’ll find a more detailed explanation of the five questions listed above.